Dental implants require maintenance that is not dramatically different than caring for natural teeth. Dr. Bruce Gopin in El Paso, TX, is a trusted periodontist who can place and restore dental implants. He educates patients in dental implant maintenance to help them experience the best long-term benefits of this life-changing treatment. Six-month checkups are an essential part of maintaining dental implants. Although titanium cannot decay, dental implants are equally prone to the accumulation of plaque and tartar below the gumline. When this accumulation results in gum disease, those with dental implants face a greater risk of damage to the surrounding gum and bone tissue, which can eventually result in implant failure. This is why regular brushing, flossing, and checkups remain as important as ever following smile reconstruction using dental implants. Immediately after your implant surgery, you will need to be extra cautious to avoid irritating the incision sites. You should brush that day, but be very gentle around the implants. You should also eat a soft diet for a few days. Continue to avoid foods such as nuts and seeds until after your gums have fully healed. Though you can typically go back to work in 24 hours, do not engage in heavy lifting or other strenuous activity until your doctor says it is safe to do so. After recovery, be sure to brush at least twice a day, but not more often, as excessive brushing can lead to gum recession. For the same reason, you should choose a soft-bristled brush and use it in a gentle, circular motion. Additionally, you should floss at least once a day. When flossing the implant site, the floss should wrap around the restoration at the gumline a way that allows you use a "shoe shine" motion, gently pulling back and forth at either side of the floss. However, do not floss vigorously up and down between the adjoining restoration and any neighboring teeth, since this can cause a crown or bridge to become dislodged. Although titanium cannot decay, dental implants are equally prone to the accumulation of plaque and tartar below the gumline. If you have a removable implant-supported denture, you should remove and clean the device each day as directed by your doctor. 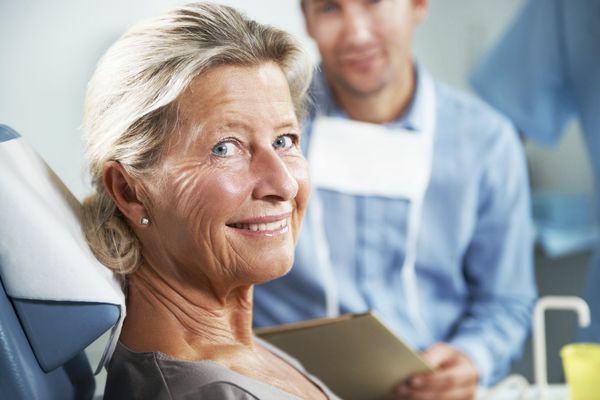 If your denture is fixed, your dentist will remove and clean it at every six-month checkup. These checkups are absolutely essential whether you have a completely healthy and natural smile or dental implants and restorations. Stop smoking. Smoking can lead to gum recession, and it also increases your risk for decay and gum disease. Avoid placing excessive pressure on your restorations. Implants can certainly withstand the normal force of biting and chewing. However, excessive force can weaken the posts or crack the restoration. To maintain your smile, do not chew ice, use your teeth to open packages, or bite your nails. Wear an athletic mouth guard. If you play contact sports, a mouth guard can protect your implants and restorations. If you are considering dental implants, or if you have questions about how to make sure your implants provide long-lasting benefits, please schedule a consultation today. You can reach us online or call our office at (915) 533-4608.